Aside from educating the younger generation about Honesty, Accountability, Good Governance, Integrity and Transparency (HAGIT), it is also our objective to give tribute to those who stood up and fought for the HAGIT principles. Dear readers, we would like to introduce our second HAGIT Hero, the late Gerardo Valeriano Ortega. Who is Gerardo V. Ortega? 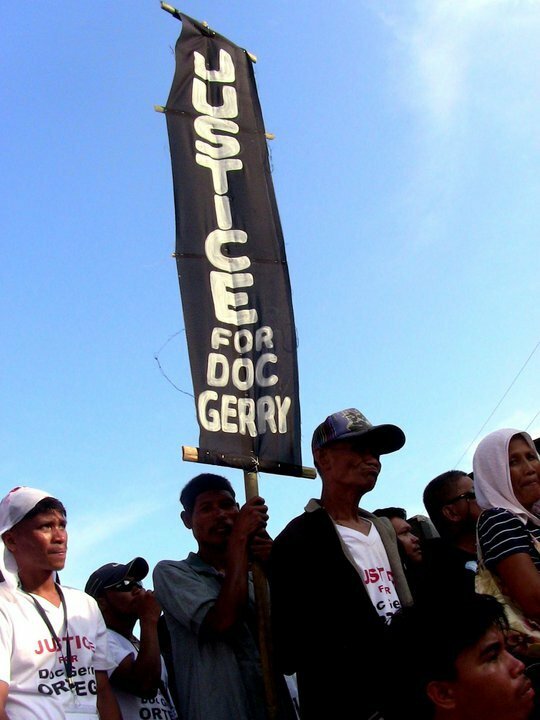 Gerardo Valeriano Ortega (August 28, 1963 – January 24, 2011), popularly known as “Dok Gerry,” was a dynamic and creative leader-manager. He advocated wildlife conservation projects, religious and socio-civic organizations and movements. He underwent scientific leadership training in Japan, Australia, Singapore, Thailand, Israel and USA. These intensive trainings on participative approach in management led him and his people to collectively attain organizational plans, objectives and goals with excellence. As a KBP accredited Broadcaster, he hosted a very popular and Prime time Public Affairs program aired over DYSP Super Radyo Palawan entitled “HARAPAN”. This program succeeded in tackling hottest issues in Palawan with two opposing sides present, thus making the people aware of the current of current issues which included several environmental problems. The most significant accomplishment of this program was the historic Reconciliation of then Governor Salvador Socrates and Mayor Edward Hagedorn on air. The Socrates versus Hagedorns were the fiercest political rivalries in Palawan Politics. 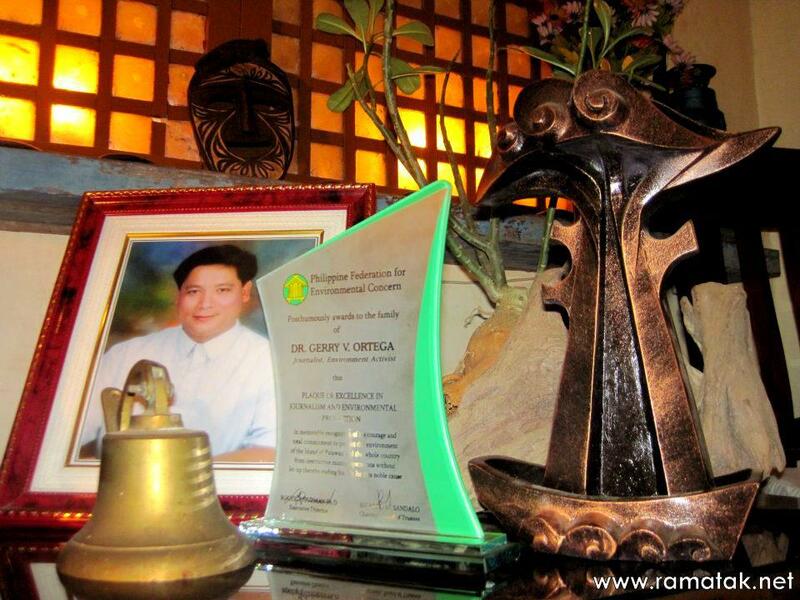 He co-hosted a very popular comic and public affairs talk show at DWRM Radyo ng Bayan entitled “RAMATAK”. In 2005, he was hired as the General Manager of the Palawan Broadcasting Corporation, owner of the DYPRTV an affiliate of ABS-CBN and DYPR AM/ iFM and affiliate of RMN. During his more than one year of stewardship, he managed to infuse with new ideas and bring the best out the existing broadcast personnel which improved the ratings that catapulted the DYPR AM to No. 1 position per ARC Survey. That was the first time in forty years of DYPR broadcast History in Palawan. He advocated for good governance, for the rights of welfare of Tribal people and persons with disabilities, for the legal share of Palawan in Malampaya Natural Gas Project revenues and fought for the Casino free Palawan. 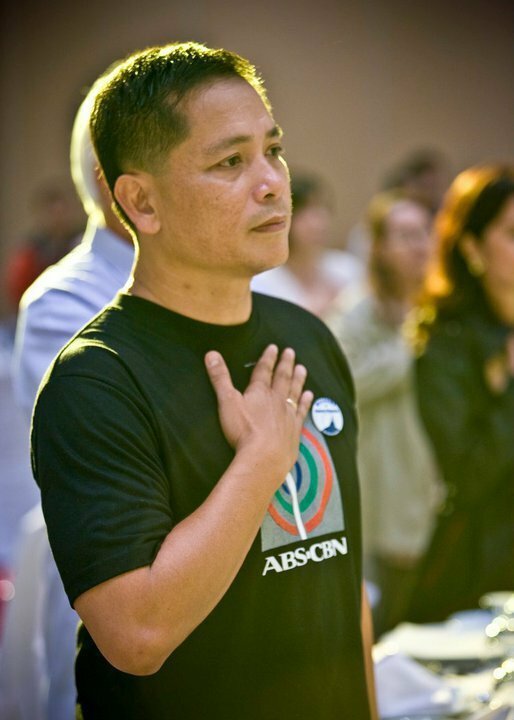 On year 2007, he was hired as the ABS-CBN project director of BayaniJuan. Dr. Ortega’s efforts in creating community based tourism models in Palawan is a living showcase of successfully managed ecotourism enterprises. Incomes that have been derived from these projects have dramatically improved the quality of life of otherwise economically marginalized communities. In 2010, Dr. Gerry Ortega received an international award for his Firefly Watching project, one of the 5 ecotourism sites that he developed during his stint as project director of BayaniJuan. At around 10:30 in the morning of January 24, 2011, Ortega had just finished broadcasting on his morning show “Ramatak” for dwAR Radyo Mo Nationwide’s (RMN)’s Palawan station dwAR, and was supposed to prepare for a scheduled journey to Manila to promote the Ten Million Signatures campaign. He stopped at an “Ukay Ukay” (used clothing) Thrift store in Barangay San Pedro, near the veterinary clinic he shared with his wife Patty. It was here that a gunman came up behind Ortega, and shot him in the back of the head. After a brief chase, Police apprehended the alleged shooter, Marlon Recamata, who confessed to the crime at the Puerto Princesa Police Office. 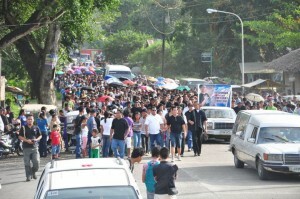 Recamata originally claimed that the motivation for the killing was simply robbery, but numerous parties including the Committee to Protect Journalists, the Asian Human Rights Commission, Puerto Princesa Mayor Edward Hagedorn, and ABS CBN’s Bantay Kalikasan, through its head Gina Lopez, pointed out that this was unlikely, given the way the murder was conducted, the fact that Ortega did not present himself as someone likely to be worth robbing. Recamata also implicated three others in his statements: Rodolfo O. Edrad Jr., Dennis C. Aranas, and Armando R. Noel. Recamata pleaded guilty to murder charges on Feb. 11, 2011. The case against him is being heard at the Puerto Princesa trial court. A second suspect, Percival Lecias, was invited for questioning by the Puerto Princesa office of the National Bureau of Investigation (NBI) the day after, on January 25, 2011. Dennis Aranas was arrested in Coron, Palawan three days after the assassination, on Jan. 28, 2011. He also confessed to the crime at the Puerto Princesa Police Office. Rodolfo Edrad Jr. surrendered to Puerto Princesa Mayor Edward Hagedorn in Lucena, Quezon on Feb. 5, 2011, and Hagedorn brought him to the National Bureau of Investigation NBI headquarters in Manila. Armando Noel surrendered to the NBI at their Taft Avenue headquarters on Feb. 10, 2011. Both Edrad and Noel Confessed to the crime before the NBI. Another suspect, Edwin Arandia gave himself up on Feb. 27, 2011, to Fr. Robert Reyes who accompanied him to the NBI. The police found the .45 caliber pistol Recamata had allegedly used to kill Ortega in a trash bin along the road, where Recamata had thrown it while trying to escape. Upon examination, it was found to be registered to former Palawan provincial administrator Romeo M. Seratubias. A man named Arturo Regalado later surrendered to the authorities, claiming he had purchased the gun from Seratubias. News reports say that in the confession Edrad gave the NBI in Manila, he said he was a former bodyguard of former Marinduque Governor Jose Antonio N. Carrion and former Palawan Governor Mario Joel T. Reyes. The reports said that Edrad implicated both Governor Reyes and Governor Carrion for the assassination. The reports also say Edrad additionally implicated former Coron, Palawan Mayor Mario T. Reyes Jr., and Arturo Regalado, the man who bought the gun from Atty. Seratubias. Governor Reyes later denied even having ever hired Edrad as a security aide, while Governor Carrion, who said Carrion was indeed a former security aide, denied ever talking to Edrad about any any plot. In a resolution dated June 8,2011 panel of prosecutors from the Philippines’ Department of Justice (DOJ) dismissed criminal charges filed against former Marinduque Governor Jose Antonio N. Carrion, former Palawan Gov. Mario Joel T. Reyes, former Palawan Mayor Mario T. Reyes, Atty Romeo Serratubias, Arturo Regalado, and Percival B. Lecias, citing “insufficiency of evidence”. 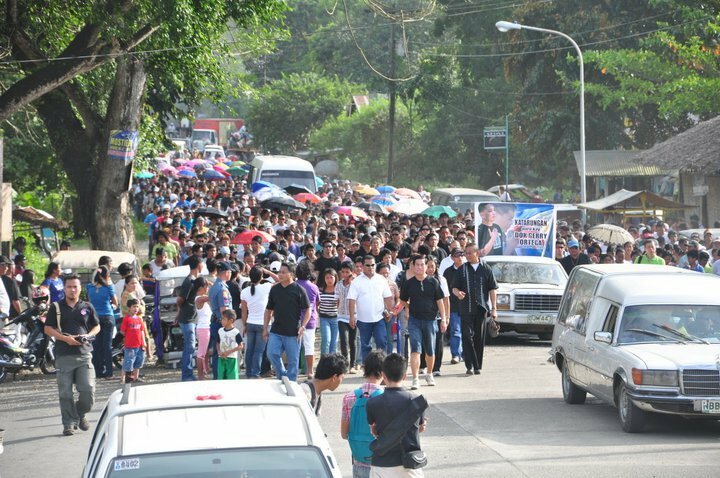 The same resolution said that there was probable cause to charge Rodolfo Edrad Jr., Armando Noel, Dennis Aranas, Arwin Arandia with murder. One of the five successful projects pioneered by Dr. Ortega, the Iwahig Firefly Watching Tour which is ran and managed by a local community association has won recognition as the “Best Community-based Ecotourism Project” at the Pacific Asia Travel Association (PATA) Gold Awards.